For Autumn/Winter 2014 we searched high and low for the perfect shoot location and found the most beautiful classic Victorian school with all the original features restored including the vaulted ceiling, parquet floor, pine stage and blue and cream Victorian tiling. Filled with quirky and eclectic props and antique furniture from industrial to Art Deco to Modernist the location resembled one of our stores and Simon’s antique addiction! 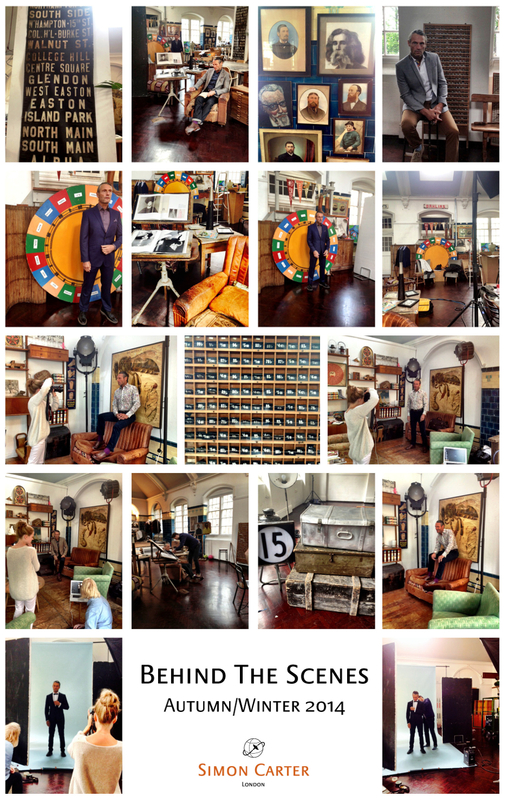 Here is a sneak peek from behind the scenes….